Owner Katya Sidelnik began her own yoga journey in 2010 but didn’t fall in love with the practice until an injury ended her ability to continue dancing, which was her passion. Her time on the mat started as a journey for physical exercise and evolved into a daily practice that transformed her perception of the world around her. Throughout the last six years she has taught classes, created workshops, helped others open studios, written her own programs, and now has finally opened her own studio right here in downtown Hinsdale. 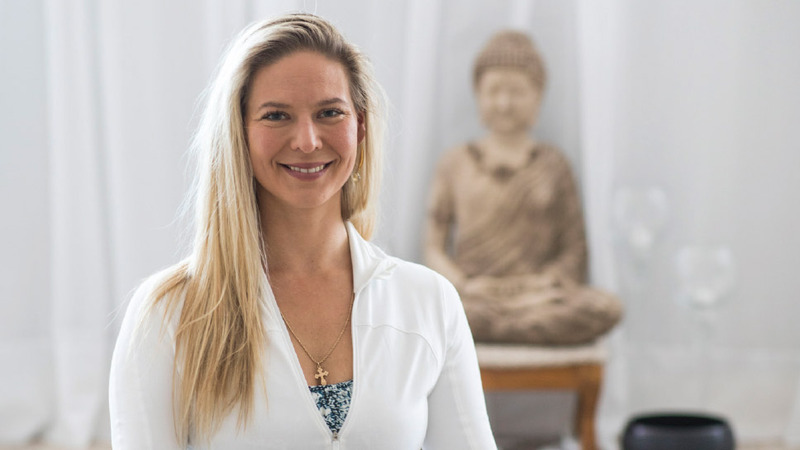 Inner Jasmine Yoga and Wellness Studio’s intention is to introduce people to various avenues of yoga, like those that empowered Sidelnik to transition to live her most authentic life. The boutique studio hopes to cultivate a collaborative learning environment and build a strong community to support organic exploration and growth in one’s yoga journey. Walking into Inner Jasmine feels more like arriving at home than a fitness studio. The entry has a comfortable sectional and library where students are welcome to come and enjoy the space, chat, have a cup of tea, and get to know each other. “I wanted a studio with an energy and peace you don’t have in many other studios,” she says. “It also runs differently than most. It’s a training studio and mentoring facility for other teachers, who can rent time slots as well as the studio.” Right now, Sidelnik teaches most of the classes, has open studio/library hours, a mentoring program, and she will be offering a 12-month 200-hour and 300-hour teaching training program in October 2019. Teaching in Hinsdale for the last six years she has created a group of dedicated students who appreciate her thoughtful instruction, knowledge of the practice, patience, individualized support, and open-hearted guidance. Classes at Inner Jasmine are smaller (usually 6 to 10 students) and longer—between 75 minutes to 90 minutes—both of which allow for more personalized attention. Classes are also for everyone; seasoned practitioners and new students alike. “I teach every class as an all-level class,” she says. Kati Flow is Sidelnik’s unique Vinyasa flow influenced by her dance and movement background. She uses the foundations of Hatha and Ashtanga in creating the base for her choreographed sequences, adding components of other movement styles. New students are encouraged to begin with Kati Hatha Flow, which follows a more traditional Hatha practice where poses are held for longer periods of time. Scheduling private sessions is also encouraged. The studio also offers meditation and restorative classes, monthly donation classes for different foundations, and continuing education workshops for current teachers.